WE ARE OPEN ALL DAY ON BANK HOLIDAYS! This delightful cottage style village inn is situated in the beautiful unspoilt village of Stanley, on the edge of the Staffordshire Moorlands.Offering a wide range of Beer, Wines and Spirits in a truly a superb setting for wining and dining. Amazing staff! Great food! Fast service and owners are lovely! We have now become locals even though we live miles away! We have been 10+ times in the past 7 months. Always have a great time at the Travelers Rest the Food is Top Notch and the atmosphere is great too.The only downside is the car park is usually full ! I suppose we can expect that. Won’t be long before we are visiting again. Beautiful meal, staff friendly and always pleasant and very professional! We never fail to have a lovely evening! Good food at reasonable prices. Always enjoy our visits. 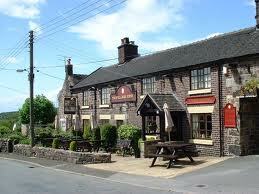 Lovely food as usual, cosy, great atmosphere staff are are always pleasent and its on our doorstep! The food here is good value for money and a good quality. Not often I have a bad meal but Saturday night I tried the 8oz sirloin steak and requested medium. I got a piece of what I could only describe as  overcooked shoe leather that was very difficult for cut through. Will stay away from shoe leather in future. Lovely building full of atmosphere I have been dining there for years and always enjoy the food etc. The service was very slow but the staff were lovely, we waited an hour before we were served our food! Chips were extremely greasy and steak pie was only luke warm. Not impressed with the quality of the food. Shame they no longer offer the suet pudding as this used to be amazing. Bitter shandy was lovely. Had a lovely meal, everything was really good will return soon. Not been for a while but till reaches the same high standard I knew in the past. Brilliant pie, very tasty. Also enjoyed my dessert. Booked online had immediate confirmation via email and phone message. Had reminder email. All excellent. As always food was faultless. Excellent  quality, value for money, staff so friendly. Just a lovely place to eat. Never fails. Always recommend The Travellers Rest. Everyone ive recommended it to loves it as much as we do and use it regularly. The braised steak is fantastic. Thanks to ladies waiting on and working so hard on what was Mothers Day. Typical country pub with a lovely atmosphere. Waited quite a while for the food but I suppose that proves it’s freshly done. The steak pie did seem a little dry but tasty nevertheless. Chips to die for. Very reasonably priced menu. Very friendly staff. Excellent again can't fault anything ,that's the reason we keep going back.